Catherine Kwong has made a career out of having impeccable taste—she’s a celebrated interior designer who has graced not one, but two design magazine covers in the past three months. So, it comes as no surprise that everything from her son’s bedding to his shoes to his library card is an aesthetic win. Not to mention her own chic version of a diaper bag (hint, it’s Chloé). 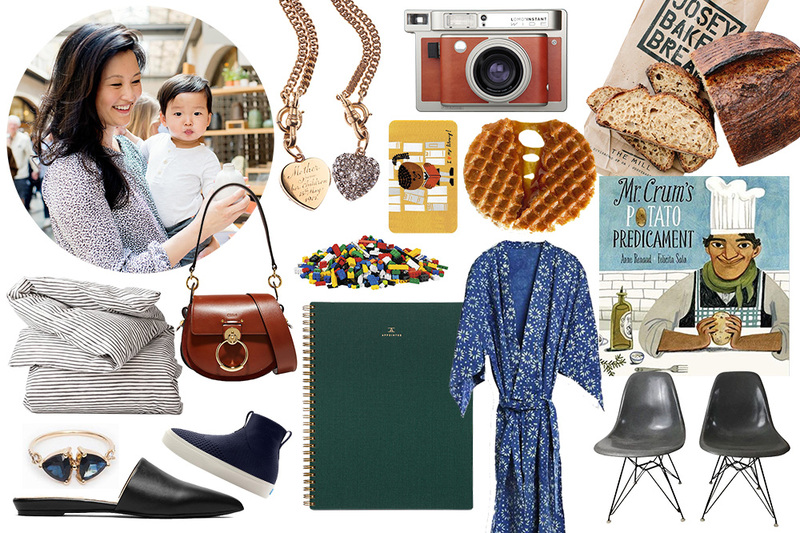 Check out her 17 current “Mother Essentials” below. Painterly Stripe Duvet Cover, $159, Schoolhouse. Mirrored Trillion Sapphire Ring, $4,561, Shop No. 3. The Pointed Slide, $85, Everlane. Chloé Tess Leather-and-Suede Shoulder Bag, $1,850, Net-a-Porter. People Footwear Nelson Kid Sneaker, $47, Amazon. Victorian 15k Gold and Diamond Encrusted Heart Locket, circa 1880s, $5,800, Metier. Lego Classic Creative Brick Box, $27.99, Amazon. Appointed Notebook, $22, Need Supply. Lomography Lomo’Instant Wide Central Park Camera, $259, Amazon. San Francisco Public Library Card, free, SFPL. The Hotel Saint Cecilia Indigo Robe, $190, Hotel Saint Cecilia. Mr. Crum’s Potato Predicament, $12.59, Amazon. Vintage Molded Plastic Eames Chairs, $650, Chairish. What Am I? Board Game, $16, Amazon. 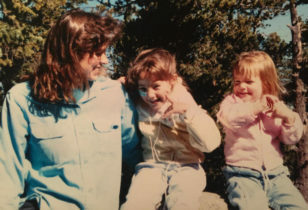 Patagonia Baby Retro-X Vest, $48.90, Saint Bernard. For more on Catherine, check out her website and Instagram feed! 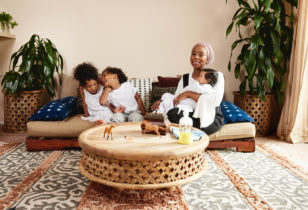 And for more Mother Essentials, peep our past columns with artist Kindah Khalidy, jewelry designers Lauren Godfrey and Maggie Gavigan Smith, Oakland retail queen Sherri McMullen, PR pro Priscilla Vega, Courtney Klein of Storq, Joanne Encarnacion, LaTonya Yvette, Morgan Walker of Make.do, Jeanne Chan of Harlow & Grey, and more.